An up-to-date durable power of attorney form, like wills, trusts, and health care directives, are essential pieces of estate planning that all people should have in order. Durable power of attorney allows a person deemed mentally disabled or incompetent to continue managing their financial and legal affairs, avoiding Probate Court and potentially having an undesirable guardian/conservator given control over your affairs. If you fail to have a properly drafted power of attorney, you will be forced to go through the Probate Court to have a guardian or conservator appointed, who will then make financial and legal decisions for you, including financial transactions, if you are disabled. The probate process is costly, time-consuming, and can potentially appoint a guardian or conservator who you may want not residing over your affairs. This person can even be a complete stranger. The process can cost thousands of dollars and take many weeks to conclude. Further, if the Probate proceedings are contested, they will become public, exposing your private information for anyone to see. This headache can be avoided by consulting an estate planning attorney at Bellotti Law Group, who will draft a legally enforceable, cost-effect power of attorney to meet your needs. 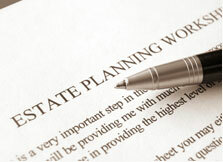 Contact us today at 617-225-2100 for a free telephone consultation to discuss your estate planning options. The durable power of attorney is only activated if incapacity occurs. Otherwise, you continue to have full control over your financial affairs. In the unfortunate event you become unable to handle these affairs, the person you have appointed as guardian/conservator will gain control, following the exact guidelines you have established. Your wishes regarding your finances are carried out exactly as you would like and you can delegate as much or as little control as desired to any person you would like. Most often, this person is the disabled individual's spouse, family member, or friend. The person you delegate to carry out your stated financial/legal wishes is called the "attorney in fact." The attorney in fact, according to your exact wishes, has authority to pay your bills, deposit checks, make investment decisions, file taxes, and make carry out other financial directives, to the extent you allow. In Massachusetts, there are two types of DPOA. "Present" power of attorney: Transfers the powers you have delineated immediately to your selected attorney-in-fact. "Springing" power of attorney: Also called a "future" durable power of attorney, it becomes effective only if/when you are determined medically disabled by a doctor. The estate planning attorneys at Bellotti Law Group, P.C. will draft a durable power of attorney that accurately and thoroughly expresses your wishes, delegating specific powers to whom you choose. The estate planning attorneys at Bellotti Law Group, P.C. serve Greater Boston, Cambridge, Quincy, Braintree, the South Shore, and all of Massachusetts. Our offices are located in Boston, Cambridge and Quincy. Call us today to discuss tailoring an estate plan to keep your assets secure for generations to come and to ensure your financial and legal directives are followed and enforceable. Contact us today at 617-225-2100. You can also contact us through our online form and we will promptly respond.